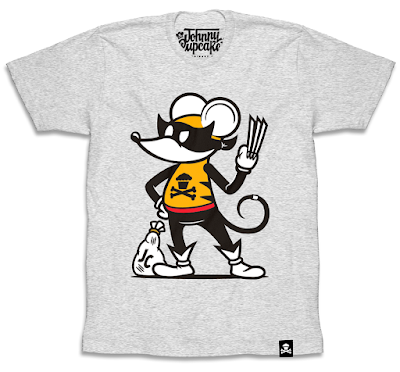 To commemorate the release of FOX’s newest X-Men movie, Logan, in theaters last weekend, Johnny Cupcakes has released this awesome Wolverine inspired Cupcake Bandit t-shirt entitled “Wolvie Crook”! This is one mutant mouse you definitely don’t want to mess with when he’s set his sights on a delicious cupcake. 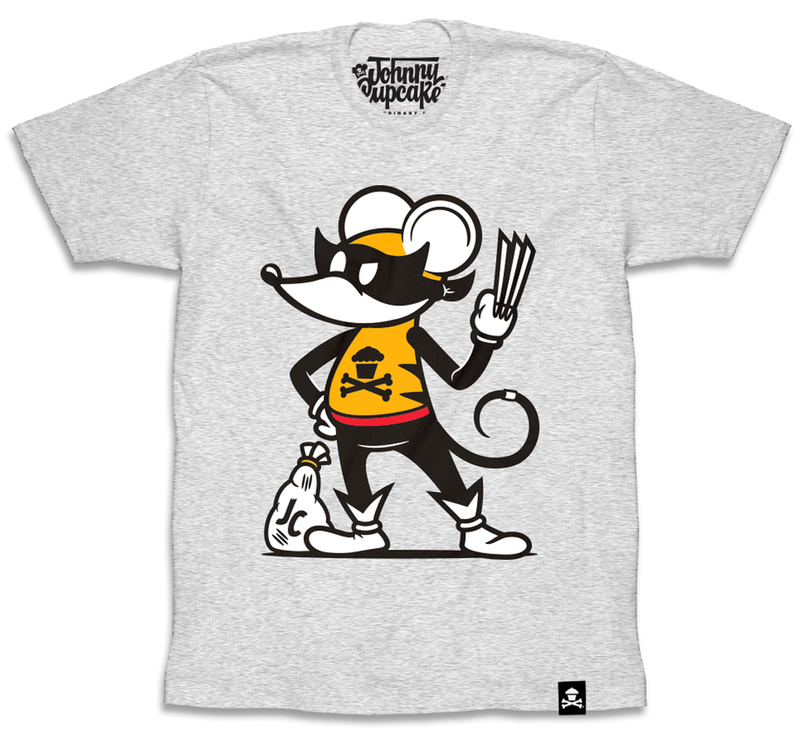 The Wolverine “Wolvie Crook” Marvel T-Shirt by Johnny Cupcakes is currently available for purchase at the Johnny Cupcakes online store in guys and girls styles, sizes S-XXXL, for $35.99 each.